The road to recovery is a slow journey, it appears to be never ending. The light at the end of the tunnel has disappeared. Is there any hope? Will I suffer from………………for the rest of my life? Nobody understands what I am going through. Does any one really care? The questions go on and on for so many, they come and they stay, they frighten the mind, and suffocate the truth in the heart. The lies become the reality, and the soul becomes desperate to find a way of escape even if it means taking one’s own life. You may be the one filled with anxiety and dread. Or, you may be the one that is a friend to someone who is suffering internally. Either way, you both must find help, support, a listening ear, a shoulder to cry on at different times in your life. No one should ever live in fear, or feel they are on their own, left out in the cold, lacking comfort from another human hand. We are all in this adventure of life together, we have all been gifted with different abilities, talents, gifts to bring to the world, thoughts, motives, challenges, goals, strengths, and weaknesses. When we look around and see the world through the eyes of the Creator, we see the beauty of life. I have struggled for 15 years with depression, chronic anxiety, and PTSD. But it has not defined me, it has caused me to rise above all that wants to tear the best years of my life out of my hands. It has spurred me on to be a stronger woman of faith, to challenge myself, to work harder, to rise again and again, to step out with a courageous heart! To find my truth day to day, to teach my own children to rise above their daily challenges. To find hope in the darkest of hours, to release my control and ask for help. My passion lies in my work now as a yoga instructor, as a health coach. As a kids sports camp director, in my years of teaching even the most frightened of children how to swim, working in nursing homes, singing hymns to elderly when they were afraid and could not sleep, holding the hands of others who have died in my arms. Teaching people of all ages how to overcome, to try new things, to go beyond the limits of their own mind. To remain faithful in prayer and to take action for the cause of a better outcome. My passion for life, for second chances, for the joy of seeing someone enter a yoga class for their very first time, is contagious. The purity of a student wanting to return knowing that they just experienced something so mentally, physically, and purposefully wonderful that they are drawn to return again and again, to the mat, to the solitude of their own practice at home or in community, in a room with others or on the beach, in the mountains or by the sea. Yoga is a gift, teaching the empowerment of the breath. Bringing about new strength in the mind, heart, soul, and physical body. When teaching what you love is your passion, the work load is light, burnout cannot thrive, and the heart is full to overflowing! It was during a period of months suffering from deep rooted anxiety, that a dear friend of mine encouraged me to visit with Lori Lloyd, an acupuncturist in my community. I had tried so many different healing methods to overcome all of the PTSD trapped inside of my body. But, after months of suffering, night and day, I needed something to work more deeply than ever before. My friend said that the work Lori Lloyd did through acupuncture sure helped her out. So, I was willing to give it a try for the first time in my life. I booked an appointment and headed into her office a few days later. I was so overcome with dread, worry, anxious thoughts, thinking that nothing would ever work to overcome the state of suffering in my mind and my physical body. Having been remarried for only 6 months, and blending a family of seven, just took me over the edge. Finding myself back in a state of trigger after trigger, although my new life was there for the taking, my entire body was on edge, pensive, on guard, a constant “fight or flight” mentality. I had no idea how drastic it would be to try to start a new life after having been trapped in an abusive marriage for ten years. Acupuncture was the piece to the puzzle that was missing in my healing process. Originally a Chinese practice of inserting extremely fine needles through the skin at strategic points on the body. Designed to especially cure disease, alleviate or reduce pain, treat various physical, mental, and emotional conditions. Through the sweet calm of Lori Lloyd, my body and mind felt safe to trust, to speak out and go through this form of healing. I was willing to try anything at this point in my life one year ago. I could not go on another day with the thought that there was nothing that could be done to bring about complete healing from PTSD. I was so afraid of my choice to be remarried, six months in, and I was a nervous wreak. Thinking that my fears would damage our marriage too much, not wanting to hurt my new husband, Fred, with my inability to cope any longer with the anxiety and PTSD. Together our mutual love, respect, patience, and giving of self has glued us together. Acupuncture was the final cure I was searching for. Lori worked with me for a solid six months, starting out with two visits per week, then gradually one visit per week. I discovered through my own experience, that PTSD starts in the muscle memory of the body. Then, it releases to the brain, and the mind at that point triggers past traumatic events and then shuts down, an inability to think clearly, to cope, to make decisions, the body becomes so rigid again with fear, overcome with thoughts of suicide, depression, and more visions of past trauma. Current events in my new marriage were magnified and my body thought I was reliving all of the horrors of the past. I knew deep down that I loved Fred, but I saw that I was harming him as well, and thought it best to go our separate ways many times. Fred too, unsure if he could cope with our pains. Fred encouraged me to continue with the acupuncture as he too could see the subtle changes in my life. The work of acupuncture rewired my muscle memory so that I could cope once again with daily tasks, and return to the flow of life without experiencing constant anxiety. Once I was able to cope again and bring my body back to a natural state of existence, the PTSD began to disappear as well. I was well long enough for months on end to allow time for full recovery in my system. Yes, there are moments of anxiety or PTSD, at times moments of depression, but it no longer lasts for months on end. I absolutely recommend and encourage you to make an appointment with Lori Lloyd if you live in Teton Valley. She is incredibly kind, gentle, sincere, patient, full of life, very knowledgeable, and practices with a passion from her own personal healing experiences through acupuncture. I choose to fight the raging battles within by stepping out of my comfort zone and proving to myself, that I am a fighter, I will win, I can overcome, I have the power of support through an entire community. I choose to fight to encourage others who are consumed by fears in life that they too can win, overcome, and become all they dream to be! 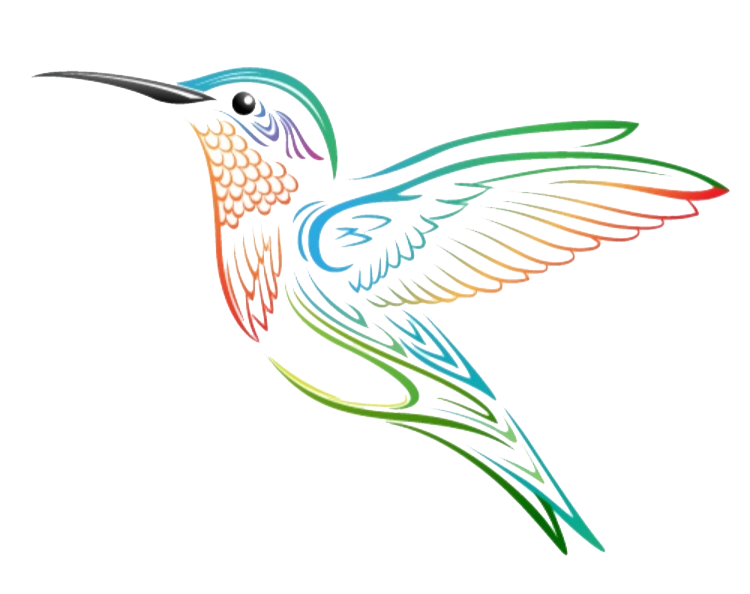 It is my dream come true to give back to my community through opening Hummingbird Yoga. It has been a gift, a joy, a delight, a way to bring health and healing to others who need a hand, or want to try something new, stepping out of their own comfort zone and letting go, soaring, taking flight, and trusting in self, and ultimately one’s own roots! !